I spared you . . . no photo with this 'report'. So sorry to tell you that my gull friend is now soaring in the heavens above . . . Stepping onto the beach with my husband yesterday afternoon I found the remains of what I feel certain is the "gluttonous gull". I've witnessed owls scanning the beach at dusk and what they don't grab, coyotes and raccoons will finish off. My husband was surprised at my calmness over finding the torn body of the bird. The real possibility that the poor creature was going to slowly suffer was a much worse fate than what I believe he experienced. I am at peace with natures way of dealing with a difficult situation . . . most of the time. This is a link Utube video ~ seagull eats starfish I found on Utube after my friend Evie directed me there to another seagull/starfish encounter. 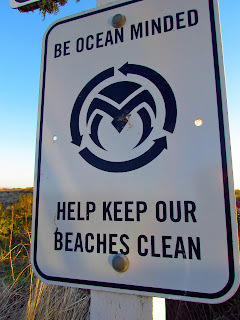 I really despise the cluttering of our beautiful coastline with signs but I tolerate this one because I'm so passionate about the subject matter . . . trash. Don't even get me started on my rant about trash on the beach! Somehow there is confusion about what constitutes 'trash'. If you brought it in and there is any remnant of it left, take it out. And yes, that includes orange peels. How would you feel if someone peeled an orange, dropped the peelings on your front lawn and then when you ask them to pick it up they tell you, "calm down, it's biodegradable". Enough said. Thank you. NPR online did a post and audio about how a study found that most plastics leach chemicals. Ah, ya. That was difficult to figure out. Study: Most Plastics Leach Hormone-Like Chemicals. I had a very interesting half hour conversation with a gentleman that was a 50-year veteran salesman for his plastics company. He told me that your average plastic bag can have 9 layers of plastic each with different chemical compounds. This was shocking news to me. I am committed to ridding my life of plastic and I am not ashamed to tell you that it's not the easiest thing to do. Long ago we switched to stainless steel and glass bottles for our water and smoothies. I got rid of my 30-year stash of Tupperware and now use glass (but with snap down heavy plastic lids). But the plastic pollution is never ending! My camera is plastic! My dang house and cell phones are plastic! My computer mouse, the keys on my keyboard, both of my printers, my document shredder, my favorite Maui Jim sunglasses are plastic (bloody expensive plastic!). You get the point. Plastic is everywhere. So how do we stop our dependence on the stuff? Or can we? One of my favorite websites is, My Plastic-free Life. Beth Terry takes her readers on her no-plastics journey. I highly recommend Beth's site for well researched information and her fun and humorous posts. I strive to get rid of as much plastic in my life as possible but not sure I can do a plastic-free life. 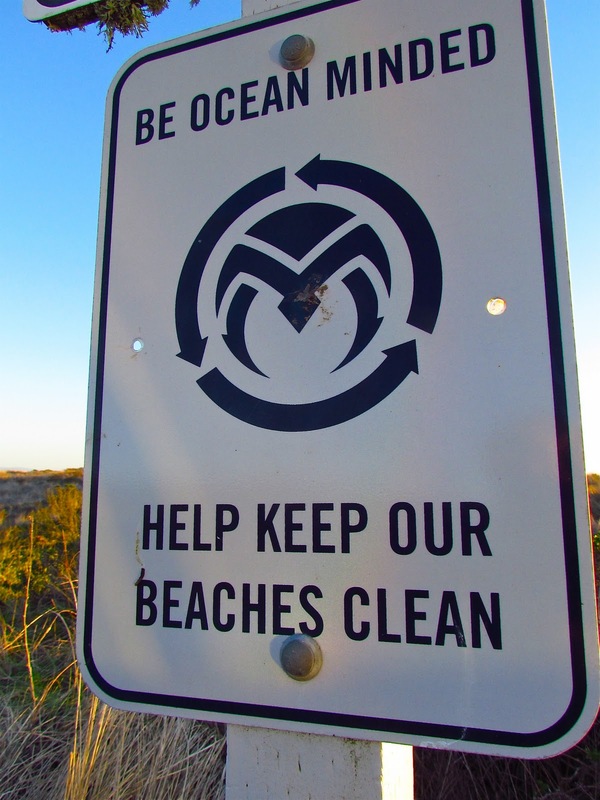 What steps are you taking to get plastic out of your life?